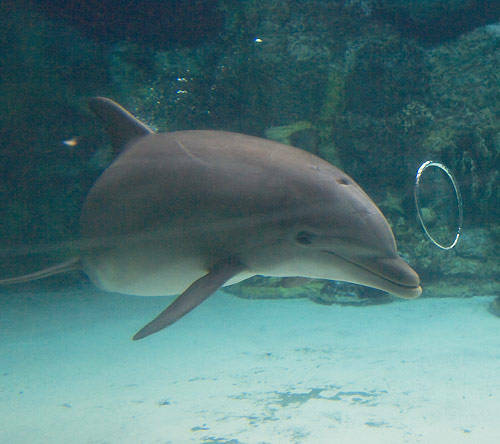 Blowing bubble rings is do-able but not easy, but what dophins can do with them is amzaing, what control! 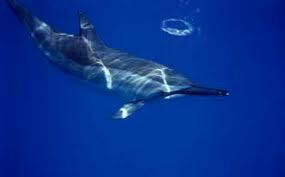 Obviously the dolphins re-energize the bubble rings through the pressure wave in front of their domed skull. Will try that next time in the pool, although I will have to find something larger than my own skull to produce this pressure wave.